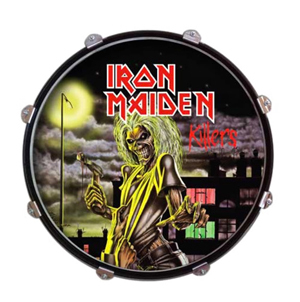 Select A Head LLC, the company that produces awesome custom design drum head displays, has now made available a line of 4 different displays for heavy metal legends IRON MAIDEN. 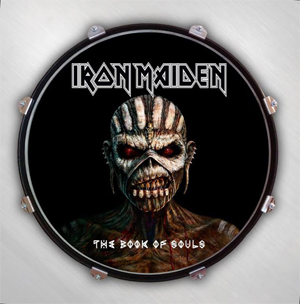 The custom printed drum displays are available featuring the artwork of Killers, Piece Of Mind, The Trooper and The Book Of Souls. Christmas is right around the corner. 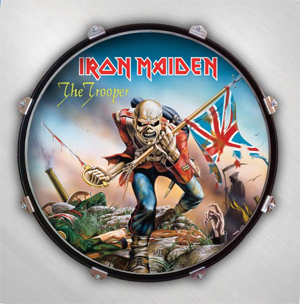 One of these displays would make any metalhead jump for joy. 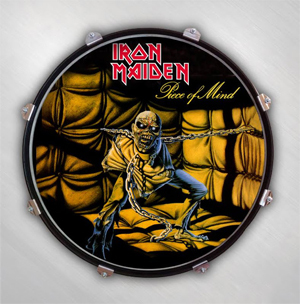 Check em out right HERE.